Last month I used my unparalleled planning skills to throw myself a fabulous Girls’ Getaway Weekend for my birthday. I had a wonderful time, and it wouldn’t have been possible if I didn’t have a great husband who was more than willing to take on solo-parenting an energetic and wildly unpredictable 2 ½ year old for three days. She’s going through a lot of emotional growth right now so it is mood swing city whenever she’s around and he’s a brave dad for facing it alone. So I thought he deserved a little getaway of his own. Thus the Mancation was born. The Mancation consisted of my husband, my sister’s husband, and my dad having a testosterone-fueled getaway to Anna Maria Island that could not have been more different than my own relaxing escape the month before. Instead of getting manis and pedis and chilling out by the pool, these guys were in for an adventure! Well, at least my husband was. My brother-in-law is a trained sniper and my dad jumps out of airplanes for fun, while my husband is a fair-skinned redheaded computer programmer for whom the outdoors is nebulous and vaguely frightening concept. 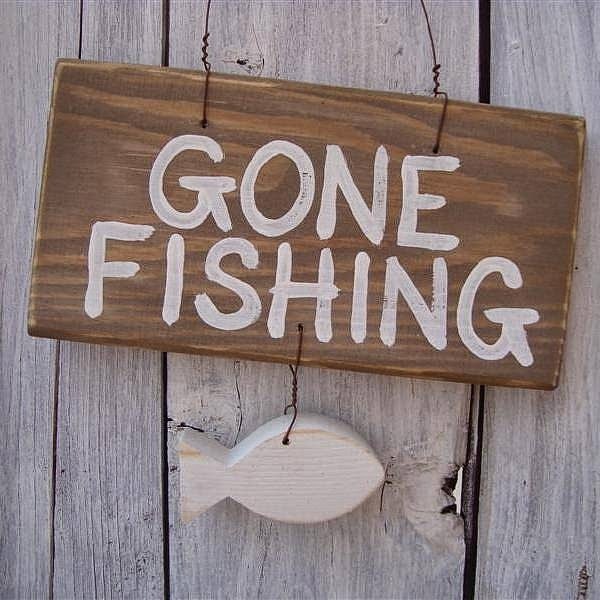 However, in the past he’s expressed interest in several activities that I have no interest in, and I figured that a Mancation with two of the manliest men we know would inspire him to get out of his comfort zone and have a good time. I booked the guys a stay at Mintfish, which seemed perfect. For one thing, 3 of the 4-bedrooms also have their own en suite bathrooms, which is great for a Mancation. Not to be too gender-reductive, but ladies on vacation together have no problem sharing a mirror while getting ready, or brushing their teeth at the sink while the other girl is in the shower. Men on the other hand need their own private sanctuary. But really, the main selling point was another water feature altogether. The backyard features a gorgeous natural swimming pool that overlooks Bimini Bay. It’s the perfect place to unwind with a cold beer after an activity-filled day. 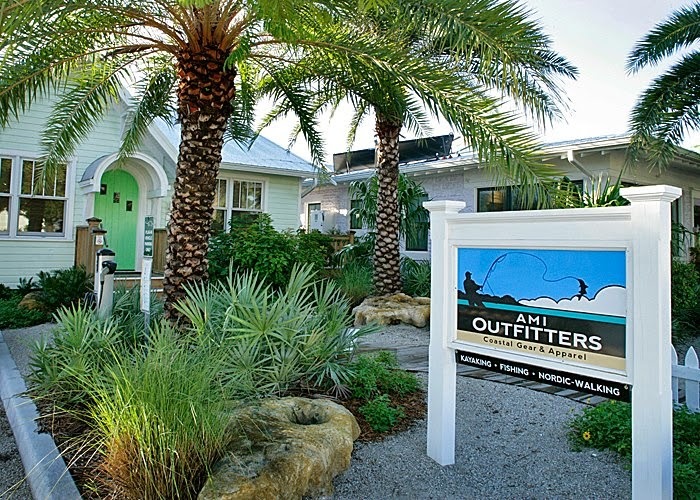 For help planning these activities, I turned to Steve Traves, the owner of AMI Outfitters located in the Anna Maria Island Historic Green Village on Pine Avenue. He set the guys up with a great fishing guide and outfitted them with all the gear they needed (including sunscreen and a giant floppy hat for my sun-sensitive husband). The boys had a blast and caught some beautiful local fish which they prepared that night in the giant open kitchen at Mintfish. I actually feel a little cheated, because my husband never cooks at home! The next morning they partook in another AMI Outfitters-planned excursion. This time they were thrilled to be cruising around in kayaks in the Gulf of Mexico. My husband has been dying to try kayaking, but I have a bum shoulder and a profound fear of water so he’s never had anyone to go with. He had such a great time that I fear it’s going to become his latest hobby. Of course, we don’t live near water, so he’ll probably just sit and paddle it in our carport. Hey, like I said, he’s an IT guy. They’re all a little weird. After they worked up an appetite kayaking, they walked down Pine Avenue to enjoy the fresh and tasty authentic Mission-style food at Poppo’s Taqueria (they source local wild hog, y’all – it’s amazing). Then, because they are very smart and nice, they popped into my favorite boutique Pink and Navy to pick me up some fabulous jewelry as a thank-you gift. They finished the day as every day should be ended: enjoying craft cocktails at The Waterfront Restaurant during Happy Hour before grabbing a table on the deck and enjoying a leisurely dinner overlooking Tampa Bay. Despite his best efforts, my husband came home a little sunburned. But he also came home relaxed and excited and brimming with stories about how much he enjoyed his Mancation. He wouldn’t trade his experience for anything and even though I spent the weekend alone with a very emotional toddler, neither would I.